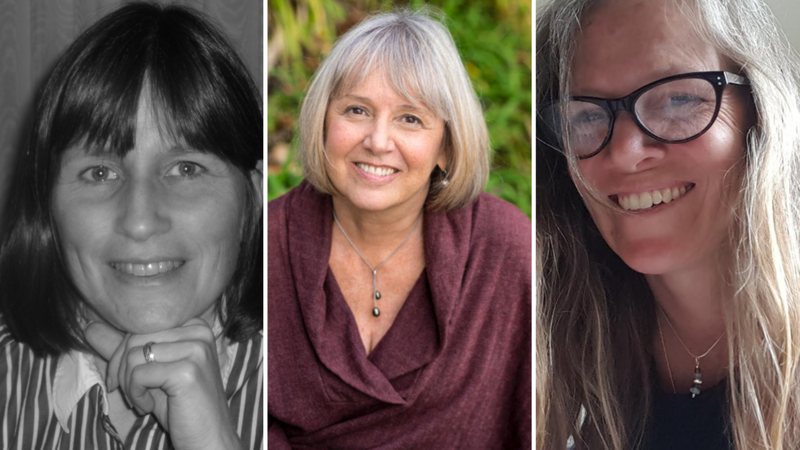 Tracy Youngblom, Mary Jo Thompson, Julia Klatt Singer Reading — Eat My Words! Tracy Youngblom holds an M.A. in English and an M.F.A. in Poetry from Warren Wilson College. One Bird a Day is her third collection of poems, following Driving to Heaven (2010) and Growing Big (2013). In addition to two Pushcart nominations, her work has been selected for publication in many journals. Poems, stories, and essays have been published in Shenandoah, Wallace Stevens Journal, New York Quarterly, Big Muddy, Cortland Review, Cumberland River. Mary Jo Thompson is the author of Stunt Heart (Backwaters Press, 2017), winner of the 2016 Backwaters Poetry Prize, selected by Henri Cole. Her poetry is anthologized in The Best American Poetry, 2011 and Another and Another, Bull City Press, and has appeared in Beloit Poetry Journal, Field, Prairie Schooner, The Missouri Review, The North American Review, Rhino, Indiana Review, Spillway, and Carolina Quarterly, among other journals. Thompson holds a MFA in Creative Writing from the Program for Writers at Warren Wilson and teaches teachers and arts managers at two universities in Minneapolis. She lives on an island in the Mississippi River.